Dr. Bhagavath combines his clinical expertise, kindness and compassion with state-of-the-art technologies to meet his patients’ individual needs. After earning his medical degree from the University of Madras, Dr. Bhagavath completed a residency in obstetrics and gynecology at the Medical College of Georgia in Augusta, Georgia. In addition, he completed a reproductive endocrinology and infertility fellowship at the University of Texas Southwestern Medical Center in Dallas, Texas. Dr. Bhagavath’s extensive experience includes infertility treatments of all types, including ovulation induction, intrauterine insemination and in vitro fertilization. He has expertise in minimally invasive robotic surgery for infertility and offers this service for tubal reversals, fibroids and other infertility procedures. He serves as the director of the Minimally Invasive Surgical Fellowship Program and is , co-director of the URMC Fibroid Center and Director of Third Party Reproduction. 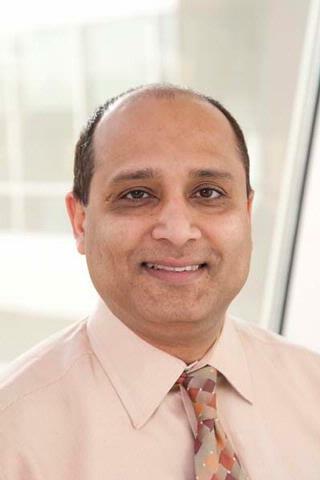 Dr. Bhagavath’s honors and awards include Excellence-in-Teaching, Resident Medical Education and Top Full-Time Faculty Teacher of the Year, from the Warren Alpert Medical School of Brown University. In addition, he received the Professor O. Eduardo Talledo, M.D. Award for excellent chief resident performance at Medical College of Georgia. Dr. Bhagavath’s research interests include robotic surgery for infertility and uterine fibroids, IVF and general fertility. He is a Fellow of the Royal College of Obstetricians and Gynecologists, a member of the American Society for Reproductive Medicine, Society for Reproductive Endocrinology and Infertility, Association of Professors in Gynecology and Obstetrics, American Association of Gynecologic Laparoscopists, Endocrine Society and New England Fertility Society. Ludwin A, Ludwin I, Bhagavath B, Martins WP, Lindheim SR. "Virginity-sparing management of blind hemivagina in obstructed hemivagina and ipsilateral renal anomaly syndrome." Fertility and sterility.. 2018 Oct 0; 110(5):976-978. Ludwin A, Ludwin I, Bhagavath B, Lindheim SR. "Pre-, intra-, and postoperative management of Robert's uterus." Fertility and sterility.. 2018 Sep 0; 110(4):778-779. Bhagavath B, Lindheim SR. "Optimal management of symptomatic cesarean scar defects." Fertility and sterility.. 2018 Aug 0; 110(3):417-418.